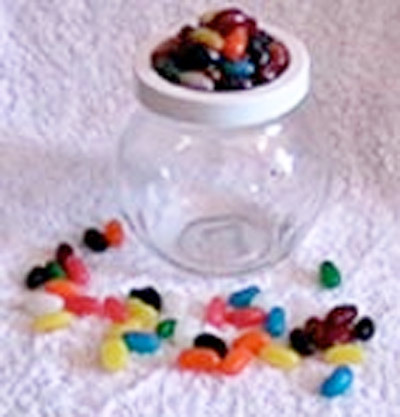 Children will have fun making this jar to hold yummy jellybean treats. The amount of jellybeans you will need depends on how big your jar lid is and how many you eat. Start by cleaning your jar lid surface of any dirt, you may want to paint this lid if the color is undesirable. Start by gluing one jelly bean in the middle of your lid, and work your way to the outside of the jar. Make sure they are firmly glued. You should now have one full layer of jellybeans flat on your jar lid. Once the glue has dried give this section a light coat of the varnish (or white glue watered down), this well prevent anything getting in later and eating the sugar off the beans. (We have to make it bug proof). Before the varnish dries completely, start sticking the next layers of jellybeans on – the wet varnish (or glue) will help to adhere the beans. Lay them out so that every layer will be slightly in from the last – to give a overall peak effect with the Jellybeans so that they look mounded up upon the jar lid. Once you have completed each layer to your desired height, allow to dry then begin coating all the jellybeans with the varnish (or glue) to seal it all up. A couple of coats with drying in between should be plenty. 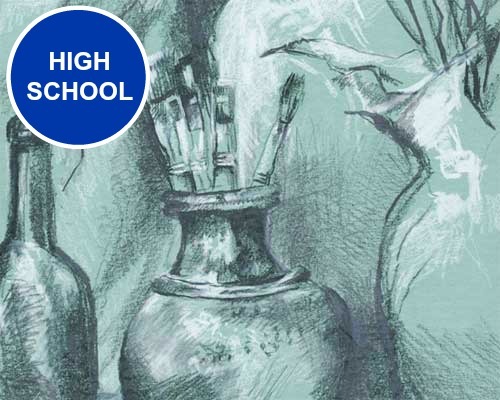 Once it is all dry, screw the lid back onto the jar, you may want to place some ribbons around the rim of the lid to finish it off.